*This is a sponsored post. The Warren were kind enough to gift the meal, however all opinions shared here are my own. Last week, the team at The Warren in Binfield were kind enough to invite me to celebrate the reopening of their premium bar and restaurant. It has been closed for the last week or so whilst undergoing an extensive refurbishment. The pub has also extended the outdoor area including the car park so it can fit even more guests inside! There's also a fabulous new menu on offer, which is what we got to try during the press evening last week. I've visited The Warren quite a few times over the last few years. It's great for a cosy date night in the Winter or for the Summer months they've got a great outdoor garden space to chill out with a few ice cold drinks with your mates. 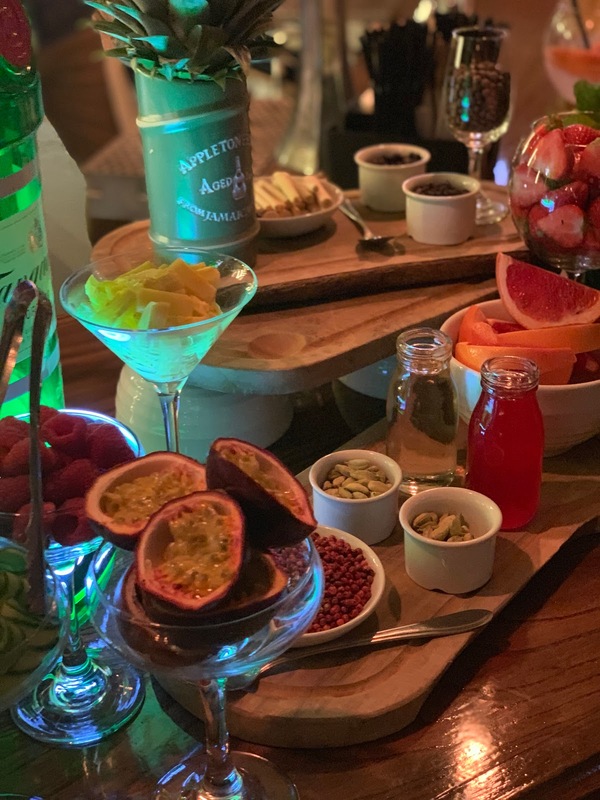 The evening started with some fantastic gin cocktails - cant beat that! We were presented with all kinds of interesting ingredients to create our own cocktails. I went with mint, red peppercorns and cucumber and it was amazing. The Warren has a fantastic drinks menu with cocktails from only £6.95, which is a bargain. 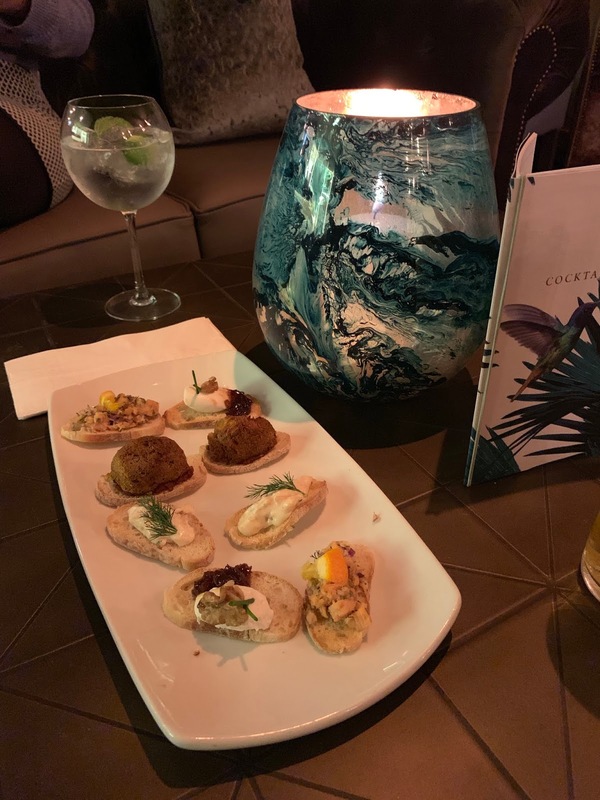 There were also some delicious canapés from the bar snacks menu including falafel, goats cheese and more. If you're planning on just popping in for a few drinks with some friends then these would have been perfect. 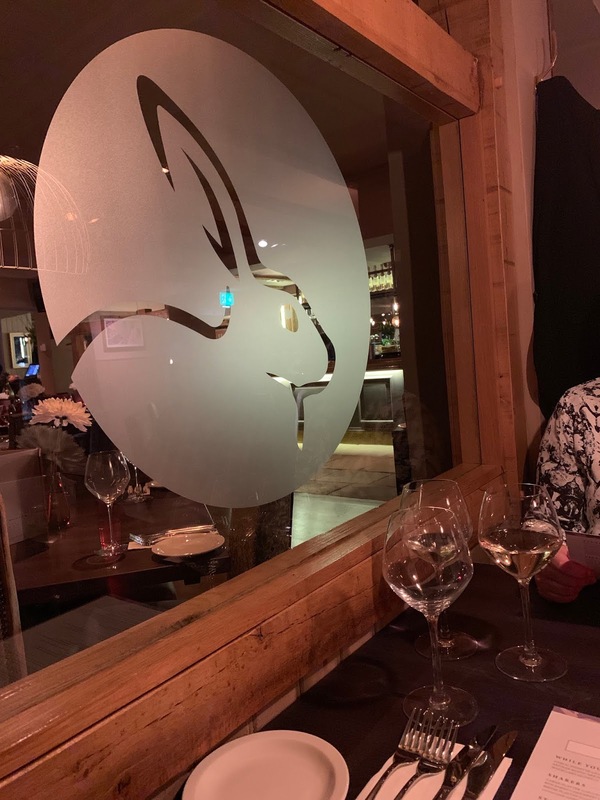 We then enjoyed a mini tour of the refurbished interior of the restaurant area, which has received a full makeover as you can see from these images. It looks super smart and inviting. 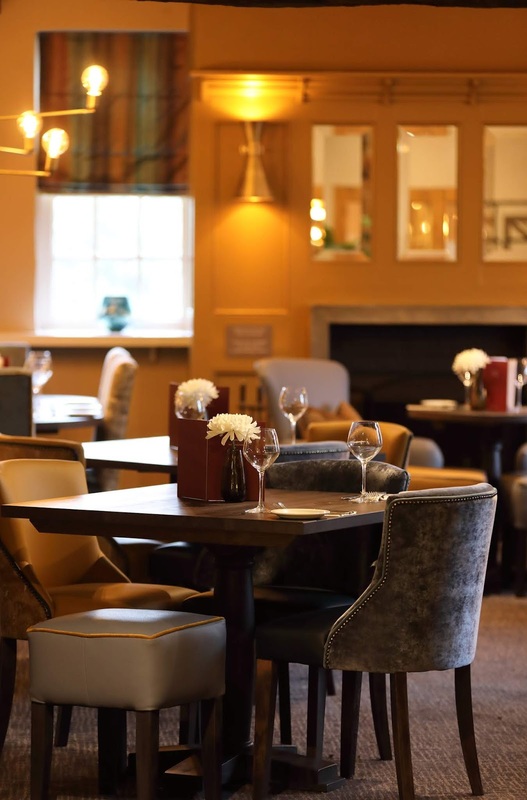 It's not just the surroundings of the pub that have received an upgrade, the menu has been completed overhauled too and now features some great midweek offers including 2 courses for £22 each or 3 for £26 each including a bottle of wine for the table on Tuesdays and Wednesdays. As if you needed an excuse to treat yourself before the weekend! We were then sat down for dinner at a cosy spot towards the back of the pub just next to the roaring fireplace - perfect. 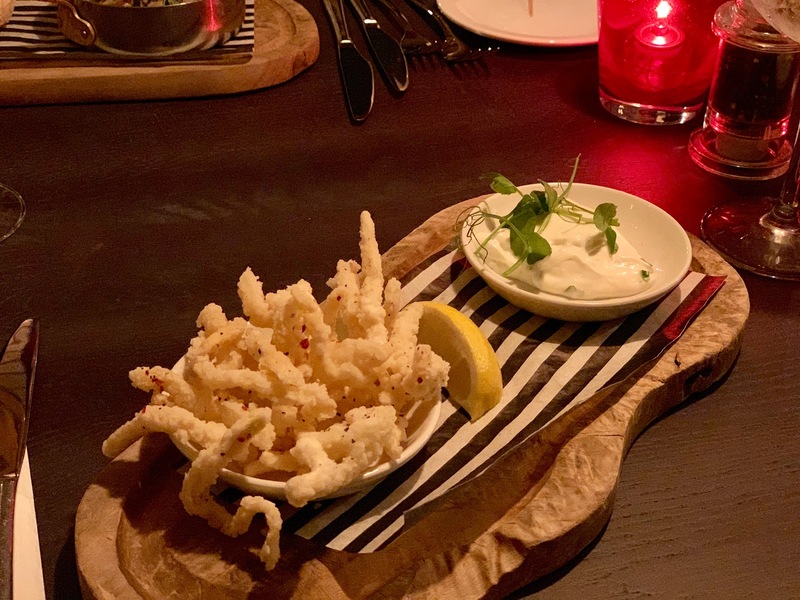 For my starter I chose the Salt & Pepper Squid, which you can see below. The fried squid was crispy on the outside and nice and soft on the inside, not at all rubbery which is sometimes the case with this dish. The lemon was also a nice touch and gave it that extra zing. Just enough to get you started. Then it was time for mains and OH MY GOD this was delicious. Honestly one of the best main courses I think i've ever eaten... 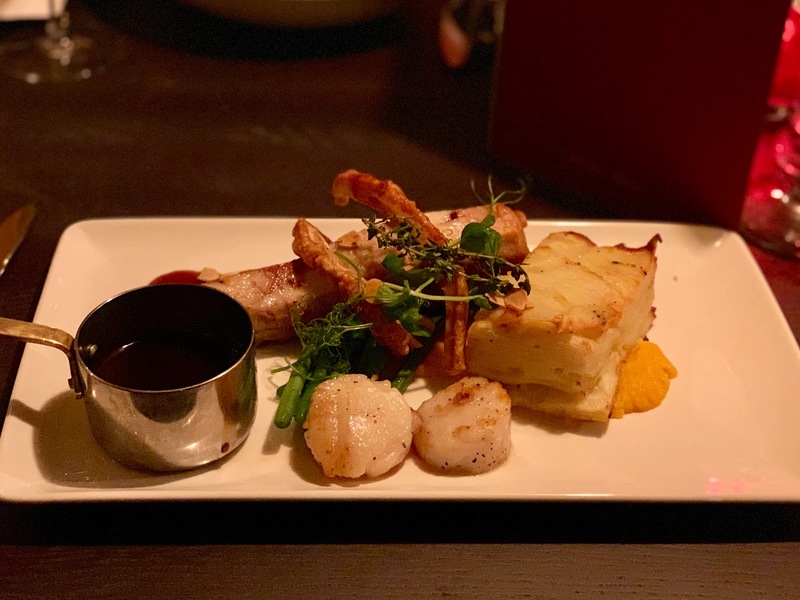 I chose the pork belly, which came with scallops and the nicest gravy ever. There was also a healthy serving of greens as well just to make you feel better about all that meat. The presentation was incredible and almost made me feel bad about tucking in...well almost.As you can see below the cut of pork we were given was massive and there was also lots of crackling if that's your thing. I could have done with a couple more scallops but only because i'm obsessed with them and they were perfectly cooked. We then had a little break after all that food with another round of drinks before it was time for dessert. I'm a massive red wine person so i went with a large glass of Malbec (£8.25) which was really delicious. Then it was time for chocolate cake! 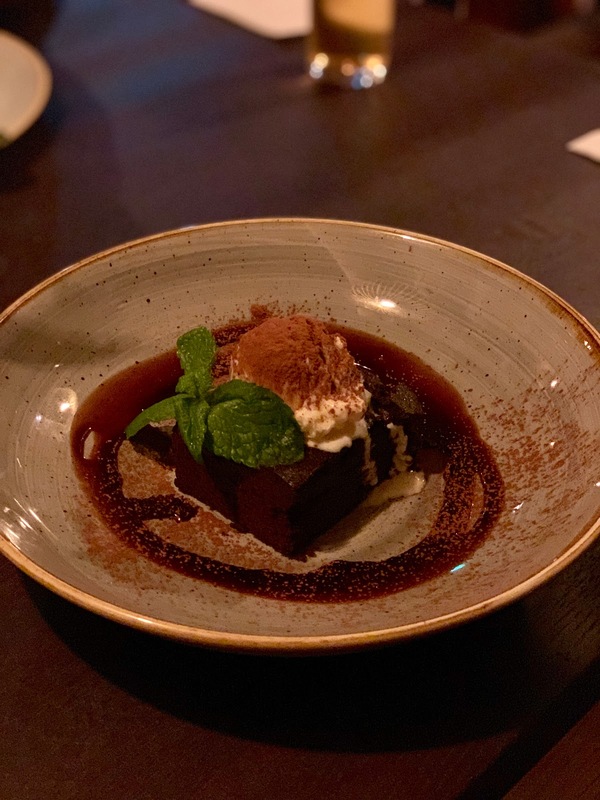 Topped with mint and a large helping of vanilla ice cream, the chocolate cake below was really tasty and not too sickly sweet like you sometimes get with similar desserts. There was also a lovely warm salted caramel sauce drizzled around the outside, which was a great way to add another flavour but was also great to dunk the cake into. Yum! We had an absolutely fabulous evening at The Warren. The pub and restaurant opens its doors again on Saturday 24th November so get a table booked ASAP because it's certainly going to be very busy for the first few weeks, especially as we get closer to Christmas. It's the perfect place to meet up with a few friends just for drinks in the bar area, or even for a work party this festive season. 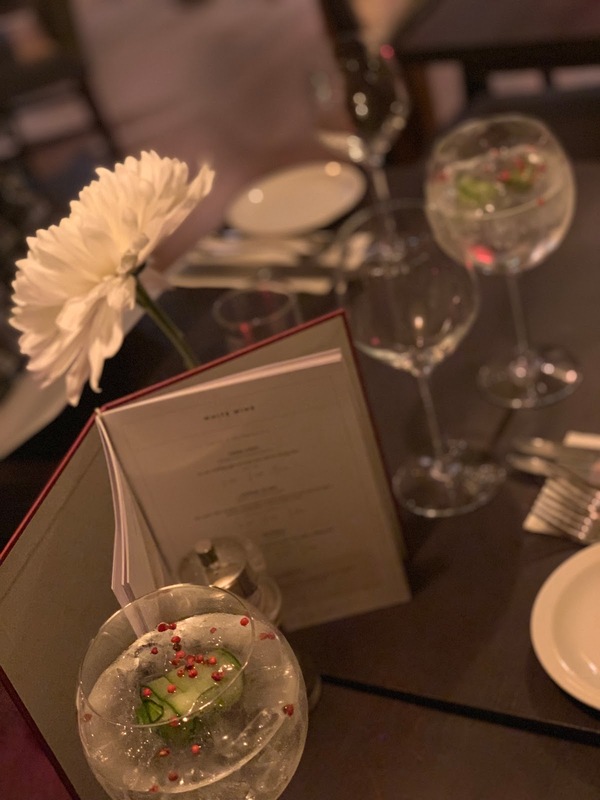 There's an extensive drinks menu that'll offer something for everyone so head over to www.thewarrenwokingham.co.uk and book a table. 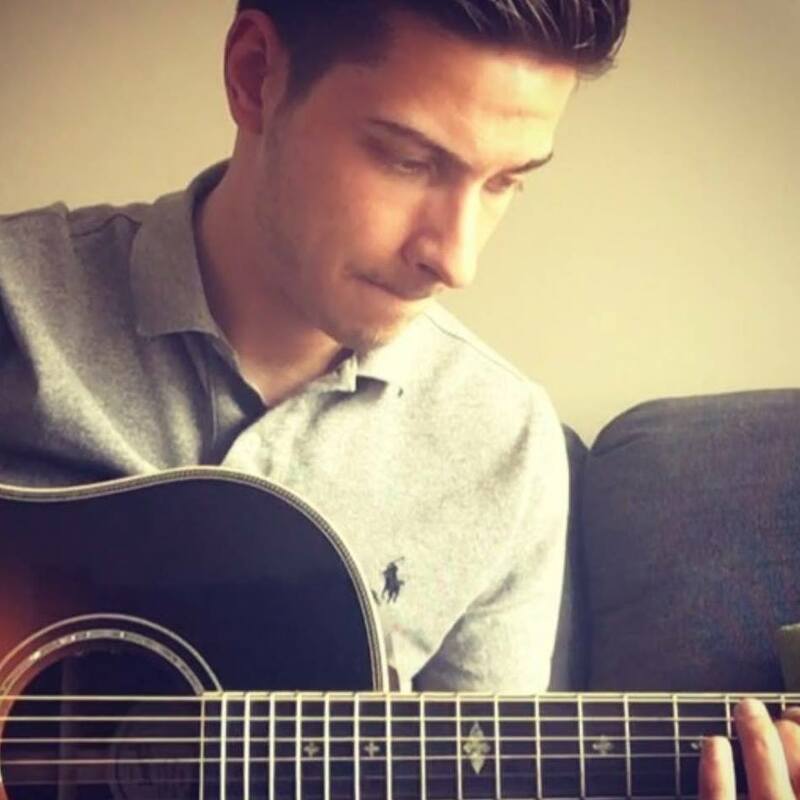 Here's a quote from the General Manager, Majka, who's been part of the team at The Warren for over 2 years - "The Warren is a hugely popular pub and provides a hub for the local community so we’re really excited to be part of the team as it begins its next chapter. 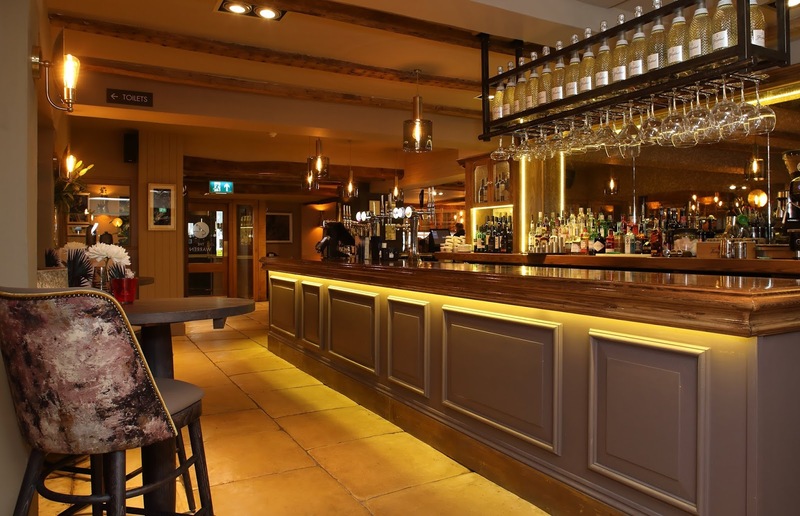 We have some stunning changes planned that will allow us to create a modern, stylish look and feel to the pub – making it the ideal spot for family and friends to get together or for corporate gatherings. 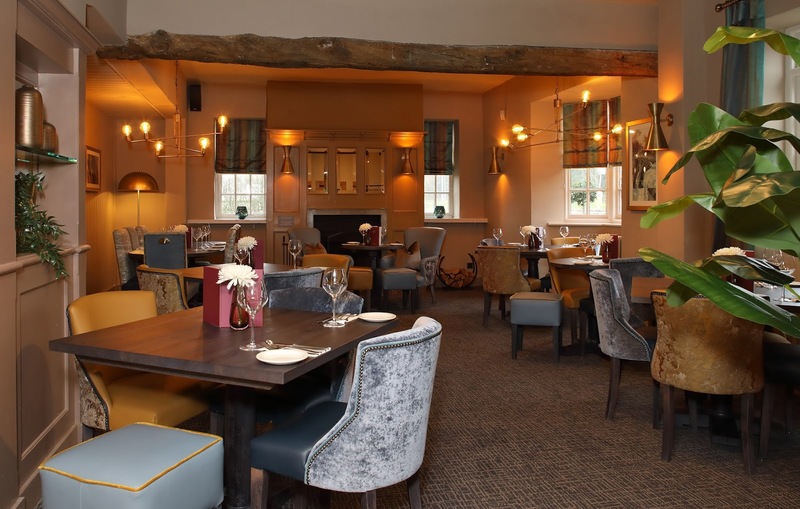 We are so looking forward to unveiling the brand-new pub to guests in November!" Whilst you're checking out the menu on their website, be sure to sign up for their e-mails and you'll get a FREE drink on your first visit - top tip!